Sometimes earnings reports don't work out well for the stock. Infinera just suffered through a bad earnings report but it was due to an acquisition. This is not a fast mover but all the bad news is now priced into the stock. 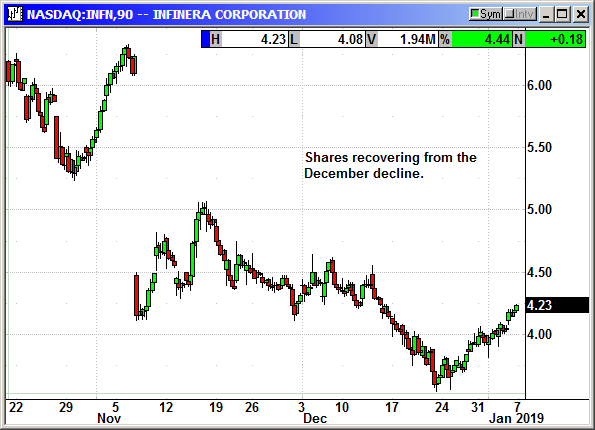 Buy INFN shares, currently $4.23, stop loss $3.75. Optional: Buy April $5 Call, currently 35 cents, no stop loss.